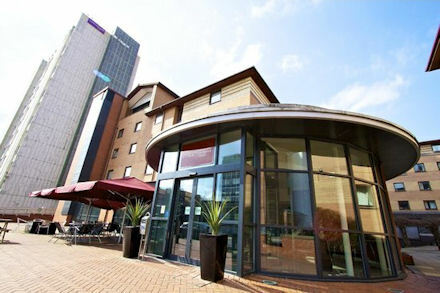 You may book accommodation at The Pendulum Hotel – part of the Manchester Conference Centre, where the Conference will be held. For bookings, you can contact the hotel directly via its website. Manchester offers many accommodation options to suit all tastes and budgets. Just across the road from the conference venue is the Hotel ibis Manchester Centre Princess Street. Other reasonably priced hotels a couple of minutes’ walk away include a second Ibis Hotel (Hotel Ibis Manchester Portland Street) a Premier Inn (Premier Inn Manchester City Portland Street), and a Holiday Inn Manchester Oxford Road. Within a 10-minute radius (on foot) you will find numerous other hotel chains, including Jurys Inn and Novotel Manchester Centre Hotel. Four-star accommodation is available in The Principal Manchester Hotel and The Midland, five to ten minutes’ walk from the conference venue, while the four-star MacDonald Manchester Hotel is next to Piccadilly train station and the Radisson Blue Edwardian Manchester is a five-star hotel in the city centre. The Hilton Manchester Deansgate is also in the centre of the city, located within Manchester’s highest building, the Beetham Tower. The University’s Chancellors Hotel, located 2-3 miles from the colloquium venue, offers peaceful accommodation within five acres of garden. Manchester has several hostels providing budget accommodation in single and double rooms as well as dorms. Apartment hotels or serviced apartments offer self-catering facilities sleeping 2-6 people. The Visit Manchester website has a comprehensive listing of all accommodation types.